The Greyhound Inn01692 598306work Public HouseThe Greyhound at Hickling boasts a roaring open fire and a sheltered smoking area for the winter, and in the summer, a sun-trap front terrace and beautiful, enclosed cottage garden. 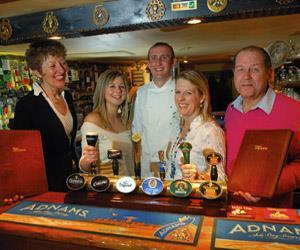 We are a proper pub where you will always find a warm welcome. We're family-friendly and happy for dogs to join their owners too! The Greyhound at Hickling boasts a roaring open fire and a sheltered smoking area for the winter, and in the summer, a sun-trap front terrace and beautiful, enclosed cottage garden.